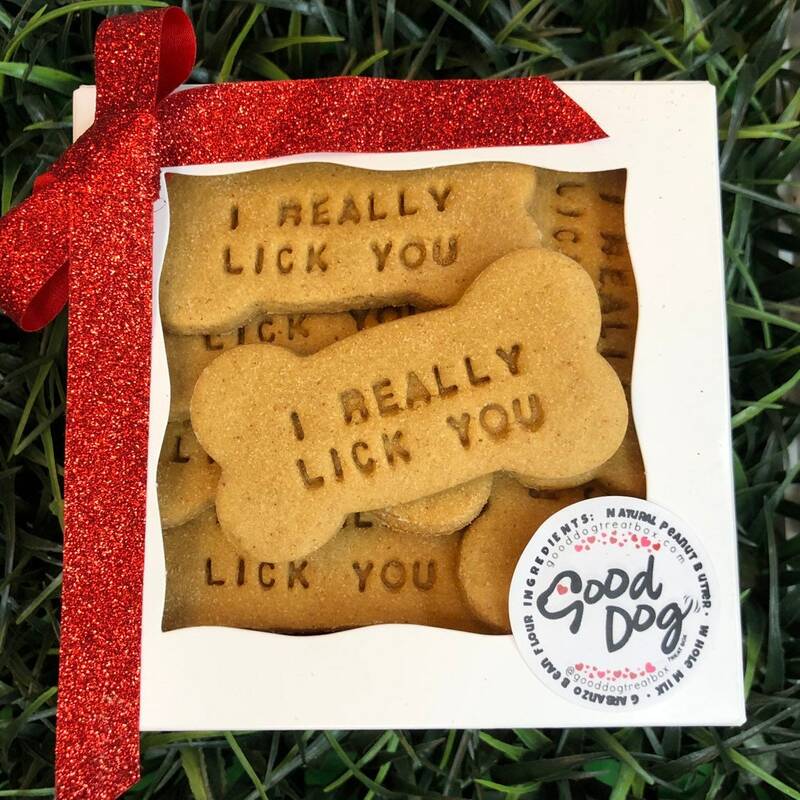 "I Really Lick You" Dog Treats are Grain FREE, made with creamy garbanzo bean flour and all natural peanut butter. Treats are perfectly packaged and make PAWESOME doggie gifts. Treats are roughly 3".